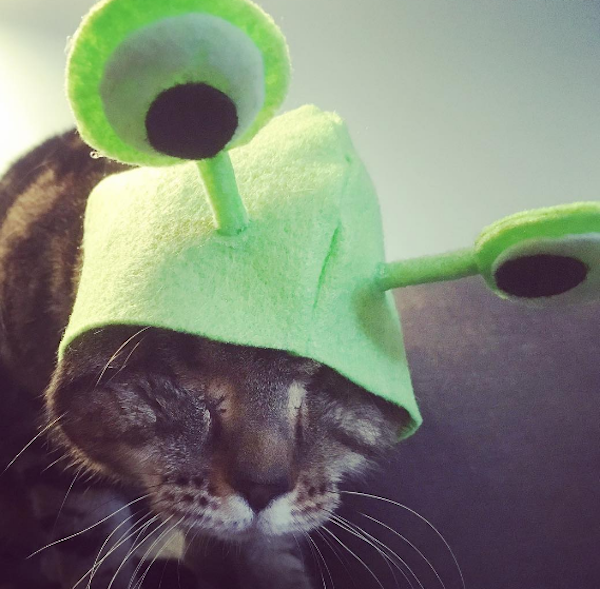 For some cat owners, All Hallows’ Eve might be a time of year when you attempt to dress up your cat in a spooky outfit (and possibly end up with deep scratches for your efforts). 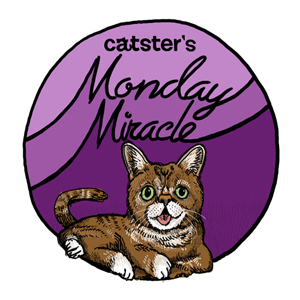 For others, it’s all about celebrating the unjustly maligned black cat. 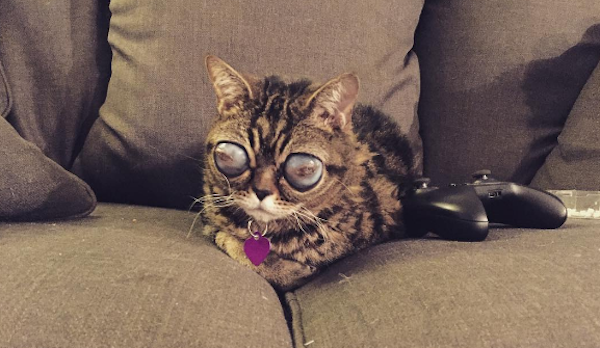 But occasionally we come across a cat who naturally looks all sorts of wonderfully freaky. 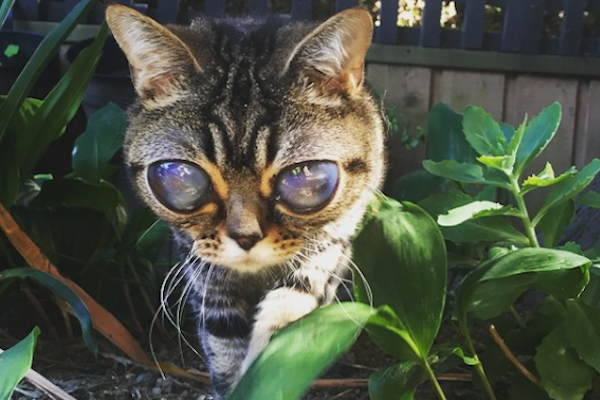 Matilda the Alien Cat is one such feline. 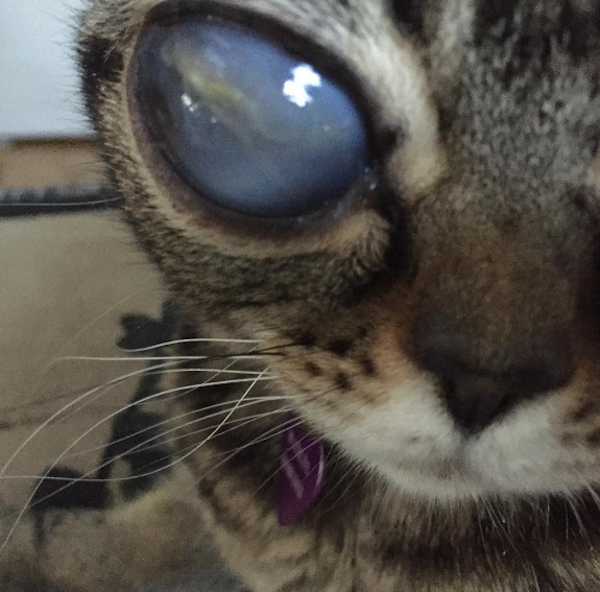 She first came to Internet fame in the summer of 2015 when pictures of this two-year-old tabby with the extraterrestrial-looking eyes went viral via the Reddit community. 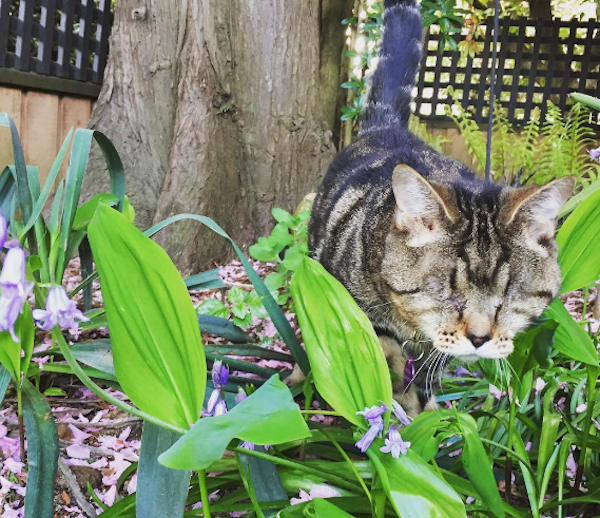 At the time, Matilda’s human told the world how, after having spent the first couple of years of her life looking and behaving like a standard domestic feline, “the lenses in her eyes spontaneously detached, and since then her eyes have grown and she has lost most of her sight.” What resulted was a pair of shining, multi-hued globules that cast Matilda as some sort of special messenger from another dimension. One night while Matilda was enjoying a nap and presumably dreaming of far-off, futuristic lands, her human went over to pet her. As Matilda returned to reality from her snooze session and looked up at her human, something appeared awry. 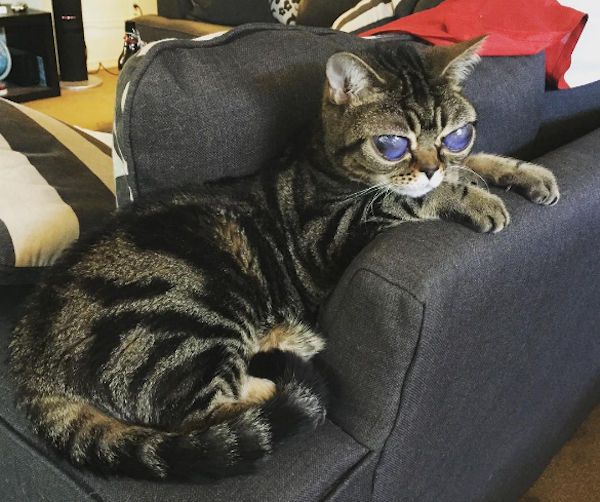 “Our usually happy little alien looked like she was hurting, and her left eye was gooier than normal and a little bit enlarged,” the blog reads. Beyond some stitches, bruising, and swelling, Matilda came through her operation successfully. Now she’s focusing on reinventing herself with “her new look,” while continuing her commitment to raising money and awareness for special needs animals. 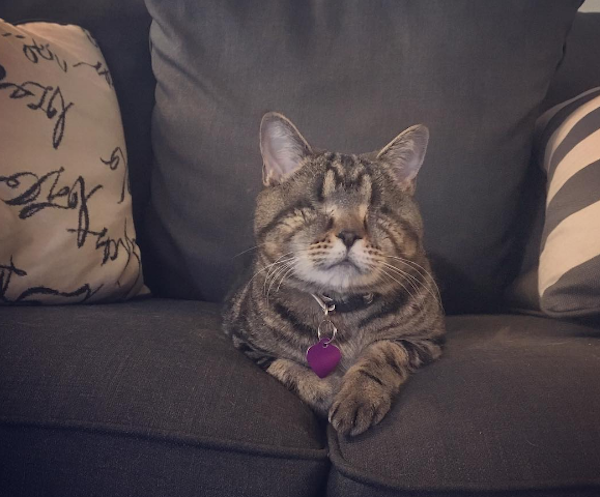 Recent efforts involve being chosen as a feline luminary for the Remember Me Thursday event in September and teaming up with PetSmart to endorse National Adoption Weekend. Follow Matilda online at Instagram, Facebook and her website.